Welcome To Our Private Ecological Reserve. Located in the Talamanca Mountain Range, at 3 hours and 65 miles from the Juan Santamaria International Airport in Costa Rica. Talamanca Mountains were the cradle of the largest and most important Aboriginal people of our country in the past, still preserved some Indigenous reservations scattered among forests and river banks. Precisely the Pacuare River is one of them. 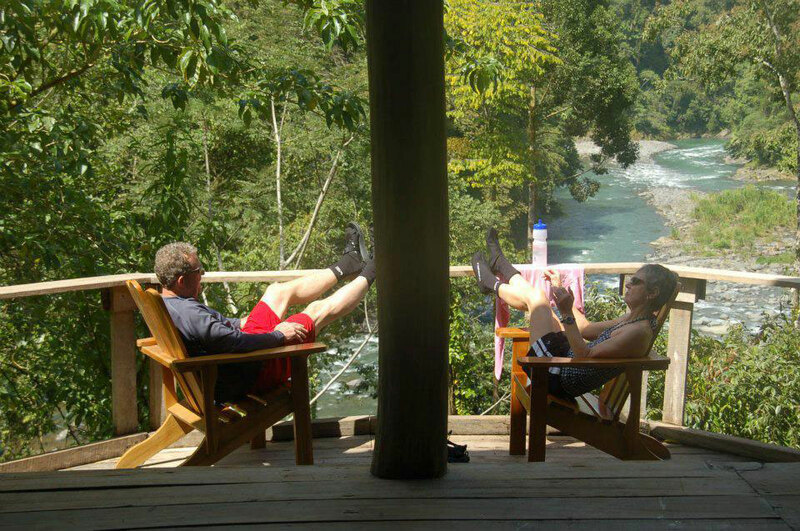 Our Eco lodge is located on a bend in the river, is accessible hiking through the forest and of course through rafts. We have primary rain forest lush gardens and a variety of tropical fruits and other food products grown in the area. We have rustic wooden cabins for 4 people; some of them have restrooms and private showers. Electricity is supplied by solar panels in the main buildings. We also offer our own Costa Rica Extreme platform tent design in harmony with the surrounding environment. Overall, the place is well suited for couples or families as well as for large groups or individuals. Our kitchen specializes in delicious dishes of varied international cuisine, in which some of the used products are harvested in our own garden. This awesome and beautiful river has been rated one of the top ten in the world to practice our most exciting activity: the “Rafting”. The crew along with the clients, participate in a coordinated effort to experiment with success one of the most exciting aquatic adventures of the moment. There are class III and IV rapids during the trip. 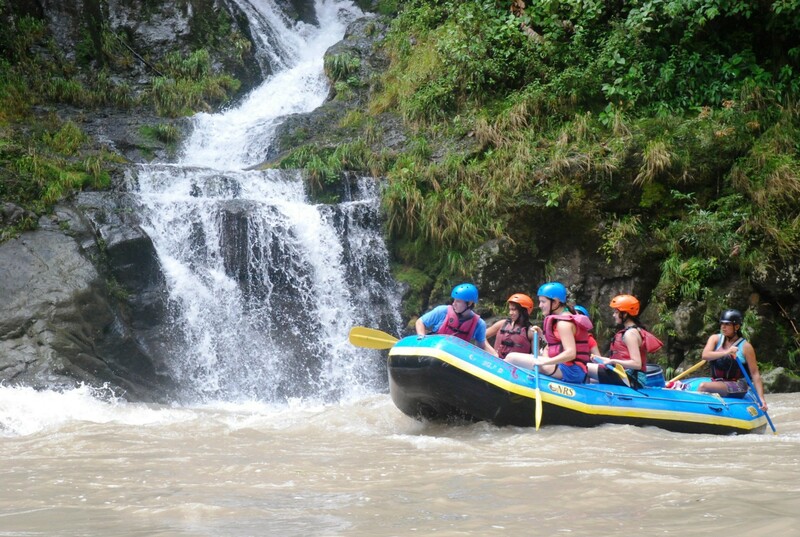 During the brief quiet moments you can enjoy the lush beauty and dense forests along which this beautiful and imposing river and wildlife, mostly birds, which can be seen from the raft. For more information, please contact tours@costaricaextreme.com It will be a pleasure to share with you the wonders of our tropical nature.